Meant to post yesterday, but a Dell update software for my printer managed to crash my computer. My husband recovered it, but only after hours and hours of effort. I think the end may be near for this computer! (If you have a Dell AIO 962 printer, watch out for that update. It's a killer)! Here is my November TUSAL along with the Thanksgiving gang. Soon it will be time to replace my fall tablecloth with a more seasonal one, but I just refuse to decorate for Christmas before Dec 1st! I try to hold on to fall as long as I can! 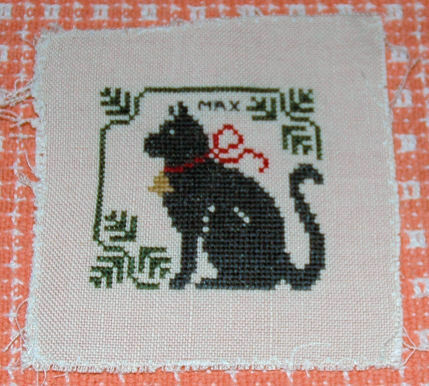 Then I stitched it again to commemorate Max ,who we lost this year. I always forget just how long it takes to finish these ornaments. I only finished one of them so far. 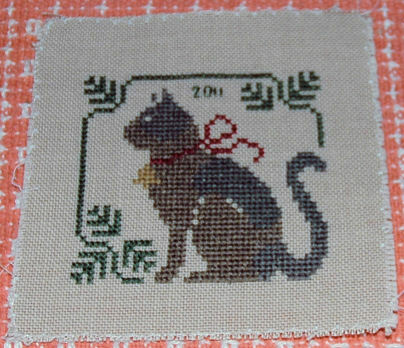 Finishing is not my forte to be sure, but I think this one turned out ok! These are terrible pictures today! Sorry about that. I don't seem to be able to take a good picture to save my life! They really look better in person than they do here. The ornies look great! 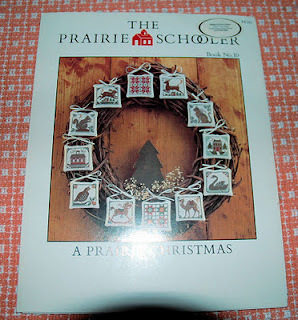 I have all those PS designs from that booklet on my xmas tree every year. I love them. 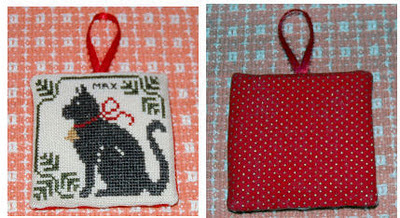 Nice how you stitched once for Max too. You are right, all the PS charts are goodies, no matter how old they are. This one has such beautiful designs that it must be a lot of fun to stitch them all. Love the finishes! That's a great book!